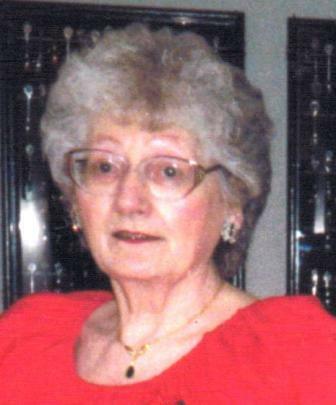 Annie Burkhardt passed away after a short illness at the Kamloops Hospice on July 2, 2016. Annie was born on the homestead in Siglunes, Manitoba, May 24, 1929. She was married to Henry Dycke on June 3, 1947 and together they had four children. Annie and her family resided in Winnipeg, Manitoba, till the family moved to Maple Ridge, BC in October, 1964. Annie became a widow on December 17, 1966 when her husband was killed. Annie bravely raised her family alone until she met and married Edward Burkhardt on May 4, 1968. They resided in Maple Ridge till Edward passed away on November 5, 1994. Annie moved to Golden, BC in April 2002 to live with her son Harvey. In September 2014 she bravely moved to the RiverBend Seniors complex to reside on her own. Annie was hospitalized in February 2016 where she was diagnosed with cancer. Annie lived a full life which included her travels to Australia, New Zealand, Caribbean and Alaska cruises, East Coast and many trips to the USA. She took pride and enjoyed her vegetable and flower gardens. Annie also enjoyed the company and cuddles of her cats Pumkin and Murray. Annie is survived by her three sons, Neil, Norman (Sonia) and Harvey (Gail), and only daughter Betty (Andy); grandchildren Danny, Lisa (Stephen) and Samantha; great grandchildren Ashley, Amy, Kevin, Shane, Zachery, Dominic; as well as several nieces and nephews. She was predeceased by her parents Wilbur and Martha; brothers Donald and Russell; and husbands Henry and Edward. Donations in Memory of Annie can be made to the Kamloops Hospice Association, 72 Whiteshield Crescent S, Kamloops, BC, V2E 2S9.